That huge expanse of hills, valleys, woodland, lakes and moors that makes up the Peak District national park in Derbyshire is one of the finest places for holidays with dogs. There are sheep to be careful with in certain areas but also lots of places such as around the Upper Derwent Reservoir where dogs can be let off leads. There are paths and trails throughout the Peak District, some mapped out carefully, others simply strolls through villages or from one village to another. 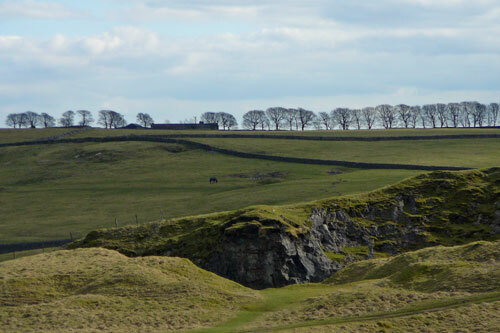 There is an attractive walk from Castleton to Hope in the heart of the Peak District and plenty of literature available to research the most interesting walks of varying durations and difficulty. Water is never too far away in the Peak District and it’s wonderful to be presented with the spectacle of a waterfall. The highest waterfall in the Peak District is the Kinder Downfall where the Kinder River falls into the reservoir of the same name, north of Kinder Scout Nature Reserve and east of Hayfield. The countryside in this area is strewn with huge boulders. One thing is for certain, the Peak District is a pleasant place to walk whether you stay in a holiday cottage or just visit for the day. It is preferable to stay a few days and to make the most of your weekend or week there. Travel inevitably whittles off a few hours from any day out so it is good to be on the spot. There is plenty of holiday accommodation in all of Britain’s national parks , about half of which accepts guests accompanied by their dogs. As pleasurable as it is to be out walking and exploring during the day, it I comforting to return to a homely holiday cottage in the evening, somewhere that feels cosy, where you can sit with your dogs by your feet and relax with the television. It is important to feel that your dogs are welcome and not annoying any other guests. Only self-catering cottages can meet that need properly. If you have ever visited the Lake District on holiday, you will have most probably visted the largest lake, Lake Windermere and maybe even taken a ferry ride across the lake with your dog. Dogs are permitted on the ferries as long as they’re kept on leads. Windermere is over ten miles long. It has various settlements, boating and activity centres along its length and is admirably suited to holidays accompanied by dogs. 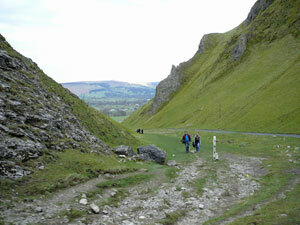 One of the Cumbrian lakes is a real star when it comes to walks with dogs. Lake Coniston despite being smaller is great for people visiting on holiday with their dogs. The shores of the lake are sandy, there is a bit of beach at one end and paths that lead over a wooden bridge to fields and the village. 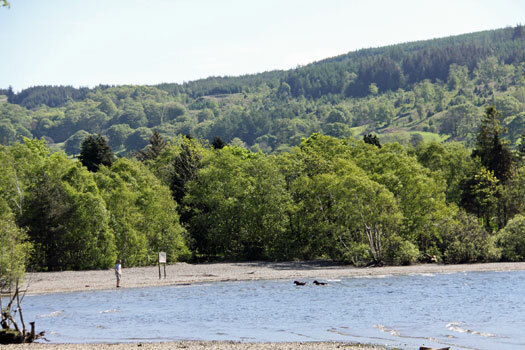 People come to exercise their dogs and allow their pets to splash about in the shallow waters at the edges of the lake. Picnic tables are set by the edge of the lake where it is nice to sit and eat lunch. During the summer, there is a lot of activity on the lake as people hire kayaks and motor boats and take to the water. 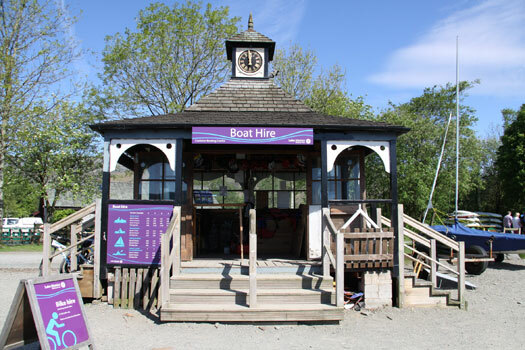 The building that operates the boat hire also deals with the hire of electric bicycles. 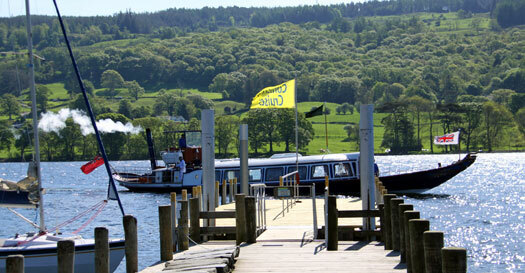 A steam powered Gondola leaves regularly for tours of Coniston Water from the pier near the lakside restaurant. Lake Coniston is really one of the nicest places to be in Cumbria on a sunny warm day. Take the dogs, pack a picnic and have a good time chilling out and enjoying rare English sunshine. Find a pet-friendly holiday cottage in the Lake District that suits your tastes and visit Lake Coniston for that nice day out. It is said that a dog is a man’s best friend and for many people their dog is part of their family. When it comes to taking a self catering holiday many people look for a holiday cottage or accommodation where dogs are welcome. It’s important for many people to find somewhere where not only they will be welcome and happy but where their dog will be welcome too. Before booking a holiday cottage or self catering accommodation do your research, check out what facilities each property has for dogs. Do they supply any extras for dogs like kennels or a dog bed for example? Are dogs allowed off the lead in the grounds? These are important questions that you will want answers to. It’s also important to ask about an extra charges. 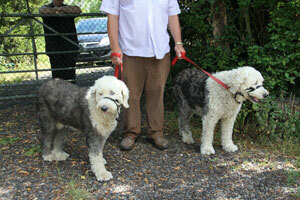 It is common practice at many holiday cottages for an extra charge to be made for dogs staying too. These charges vary so do remember to check before booking. Another important consideration is the number of dogs allowed at the cottage. Very few cottages have a totally laid back attitude to dogs where any number of dogs are welcome. Cottages that do welcome any number of dogs tend to be very large cottages with facilities like outside areas for dogs. When it comes to most cottages they ordinarily have a policy of welcoming one or two dogs per party. Some cottages will only accept well behaved dogs or clean dogs. Some cottages have a policy advertising no smelly dogs – which with criteria like that one starts to wonder how dog friendly they are in any event. To make sure that both you and your dog enjoy your holiday do make sure you get answers to any questions you have and thoroughly check out the cottage’s welcome policy for dogs. We would suggest you also do your research when planning your holiday to find pubs where you can take your dog and take time to find pet friendly attractions to visit if you wish to get out and about. This site is under development and more advice on finding a dog friendly holiday cottage in the UK and Ireland will be coming soon. Interested in advertising on this site? Email us on yvonnechristinaeatyahoo.co.uk for our rates – remember to substitute an @ for at when emailing us.